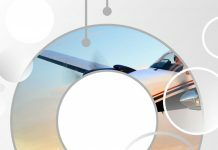 For about five years, there’s been a quiet revolution underway in general and recreational aviation. Non-coincidentally, that’s about the same length of time that tablet computers have been available. The revolution is of course electronic flight bags (EFBs)—software packages that unite aeronautical information with modern consumer electronics to give general aviation pilots access to the sort of planning and location tools that were formerly the domain of airlines. 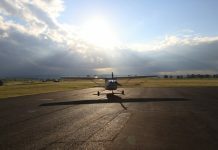 Australia has two leading EFB providers for general aviation: OzRunways and AvPlan EFB. 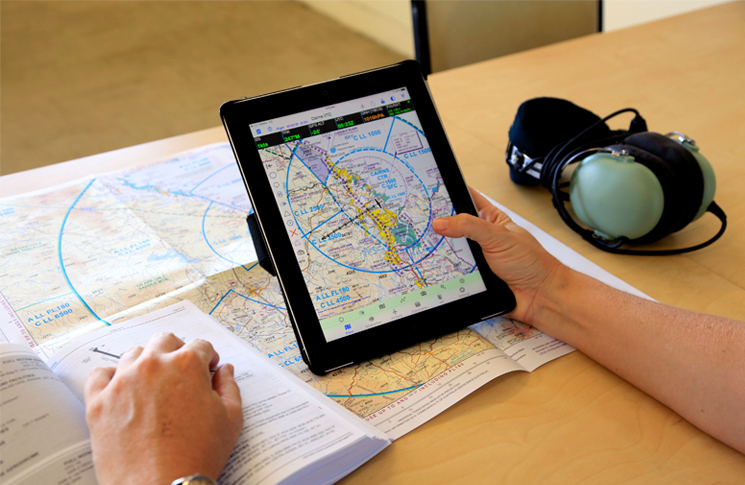 Both are available for Apple iPad and Android tablets and both offer the ability to plan a flight, get weather and NOTAMs and navigate, with maps, ERSA, DAPs and AIP at the pilot’s fingertips. Both allow the pilot to fetch or enter winds, submit to NAIPS and create custom waypoints. The latest versions of OzRunways and AvPlan EFB offer another type of service—live local traffic information. Both use the 3G mobile phone network to do an improvised, uncertified version of what automatic dependent surveillance-broadcast, (ADS-B) does: send identification, speed, heading and position information from one aircraft to another. The difference is that OzRunways and AvPlan EFB use the 3G network to gather automatic position reports to a central computer server that sends the information, via 3G to other aircraft nearby. Both AvPlan EFB and OzRunways display live flight information on a webpage (tx.ozrunways.com or for example, AvPlan’s page in aid of charity 2015 Outback Air Race www.outbackairrace.com.au). This allows family and friends to track aircraft in real time and has strong potential to speed up the process of finding an aircraft in distress. Both vendors allow the pilot to send an email containing a web link to family and friends. When the link is opened and the aircraft is flying, the website centers the pilot’s aircraft on the screen and highlights it. AvPlan EFB technical manager, Peter Derrick, says the company took advantage of a distinctive characteristic of Australia’s mobile phone network. ‘Thanks to the way the telcos have implemented the cellular network in Australia, the signal goes up as well as out and across,’ he says. ‘It would seem unique to Australia. We were recently in the US where you are lucky to get some level of cell connectivity above 3500 ft, whereas here in Australia only last week we were able to successfully track an aircraft flying at 38,000 ft.
‘Because the cellular network allows us to maintain network connectivity in flight we can send out a little data packet to our cloud servers, identifying the flight plan being flown, the latitude/longitude, altitude and various other parameters. We save that information and we aggregate it to send to other pilots in the vicinity. 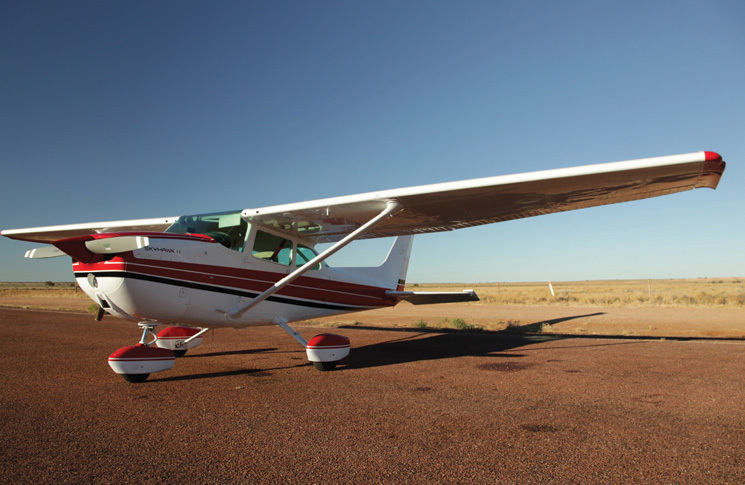 OzRunways technical specialist (and co-founder), Neil Weste, says 3G coverage is ‘surprisingly good over a large part of Australia, even outback Australia’. However, he cautions that 3G coverage is dependent on mobile telecoms suppliers, who have no incentive or requirement to supply it for the aviation market. For this reason Weste says, ‘We portray this not as a collision avoidance thing but as a safety aid. We think it’s very useful for keeping track of aircraft but we wouldn’t describe it as collision avoidance because it’s not a TSO’d (technical service ordered) technology; there’s no guarantee of reliability and no guarantee that someone else will carry and use it. At the moment the system has one large blind spot. Subscribers to each service only see other subscribers, and not customers of the rival service. But the two companies are discussing cooperation in the name of safety. ‘We’re trying to look at ways to share that data in a way that commercial information is not being divulged or compromised,’ says Derrick. AvPlan EFB hopes that live information will be available to the Australian Maritime Safety Authority (AMSA) in future. This will allow AMSA to get details of an aircraft’s last known location if it does not arrive. Both companies say their products do not replace old-fashioned airmanship. Derrick sees a need for aviation training syllabuses to recognise that EFBs are now near universal. ‘We’re promoting that at some stage in the flight training there should be an introduction of EFBs so that new pilots can be taught their proper use,’ he says. Weste says that despite the apparently miraculous capabilities of the technology it is important to remember that it is not developed for aviation. ‘We always start our talks with a safety briefing on what to beware of with EFBs: heat, power supply, and the most frequent one, preflighting your iPad with all the maps and aviation (ERSA) data you need,’ he says. Hello! I’ve been reading your weblog for a while now and finally got the bravery to go ahead and give you a shout out from New Caney Tx! Just wanted to mention keep up the excellent job! Can you recommend a good internet hosting provider at a honest price? Kudos, I appreciate it!